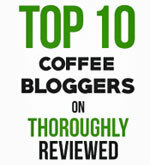 Can I use Keurig 2.0 Cups in other Keurig brewers? I just mistakenly ordered some K-cups for a Keurig 2.0. I am clearly challenged, as I have a Keurig K45 Elite. Is there any way I can adapt these ginormous cups for my Keurig, or can I cut them open and use them in my French press? Nope. There’s no way to stuff one of those over-sized K-Carafes into your K45 Elite. But yes, you can open them up and use them in your French Press. 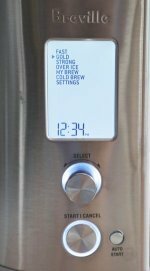 As I recall, each K-Carafe makes 4 cups of coffee in the Keurig 2.0 models. I’m guessing you aren’t the first or last to pick the wrong package from the shelf. 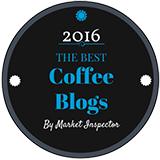 In addition, many Keurig 2.0 owners are discovering that some of their favorite K-Cups don’t work in the Keurig 2.0. 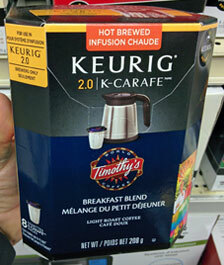 Keurig have designed the 2.0 models so that they won’t work with any K-Cups that are made by “unlicensed” vendors. All in all, there is plenty of opportunity for confusion and disappointment among Keurig owners right now. Choosing between the different Keurig single cup brewers. Buying Keurig brewers and K-Cups online in Canada. Organize your Keurig K-Cups with a storage drawer.